Brazil Tours / Trekking – More than 70 museums are part of São Paulo's cultural sights. The little Padre Anchieta Museum at Pátio do Colégio exposes the foundation, history and evolution of São Paulo from a tiny Indian village to the largest metropolis in the southern hemisphere. The Museum of the city of São Paulo represents a network of 12 historical houses of the 18th to 20th century, built by Taipa de Pilão. The Ipiranga Museum has the most beautiful building and exposes, among others, artefacts from Brazil's colonial time. The Memorial do Imigrante served during the 19th century as a kind of hostel / resting place for immigrants, who arrived there by train, coming from the Santos harbour and who were from there were directed to the coffee plantations in the interior of the state. 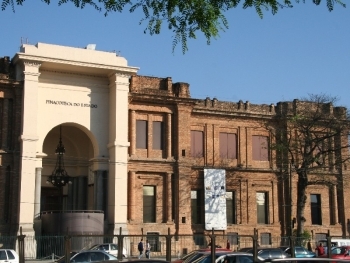 The São Paulo Art Museum (MASP) with paintings, among others, of Botticelli, Manet, Renoir and Van Gough, is one of the city's most visited museums. As is the Pinacotheca of the State of São Paulo with is pleasant coffee terrace and viewpoint of Jardim da Luz, the city's first public park – Adventure Tours / Brazil.